The village of Lake George above Albany, NY was the last stop on my way home from Acadia. In the morning I went to the banks of Lake George to photograph a sunrise which proved to be as stubborn about rising as the one in Acadia. 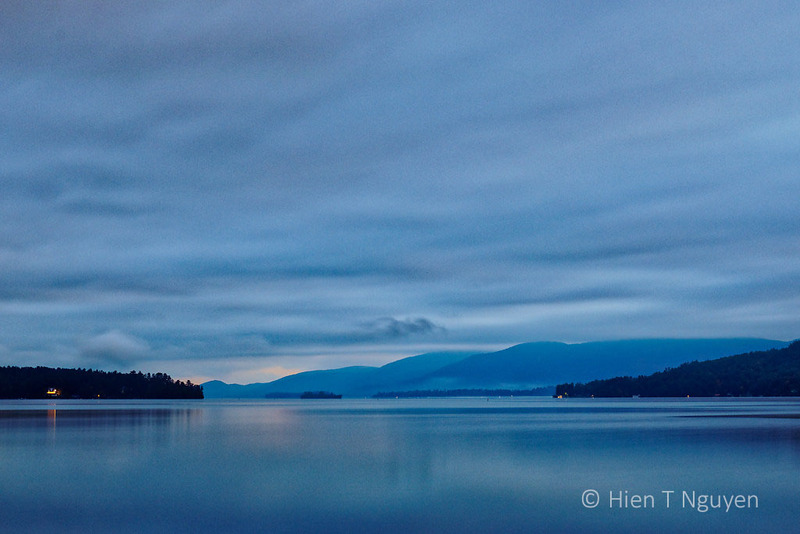 Lake George sunrise, 30 seconds exposure. 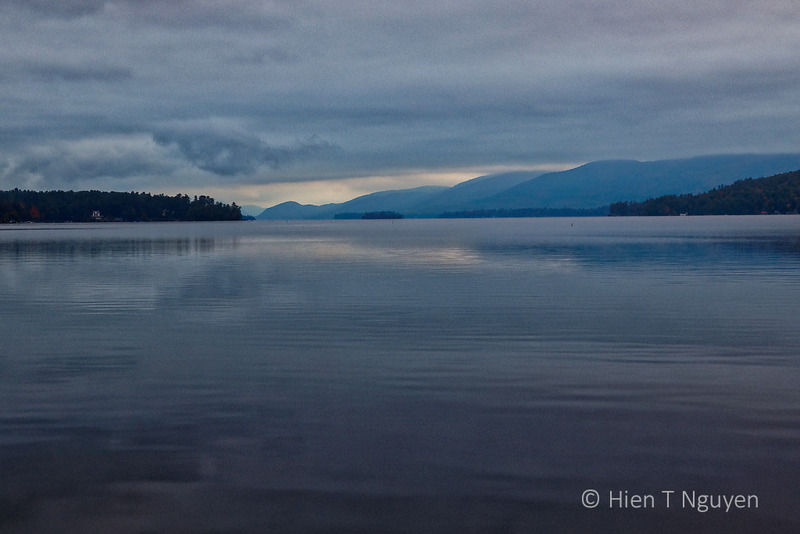 Lake George sunrise, 0.4 second exposure. While waiting for the sun, I took a few shots of the nearby scenery. Lake George sightseeing boats moored for the night. There was a wooden sculpture created in 2017 by Paul Stark, a chainsaw carver. It depicts Major Robert Rogers leading a band of Native Americans during the 1754-1763 war between British and French forces. One of the areas where Rogers operated was Lake George. 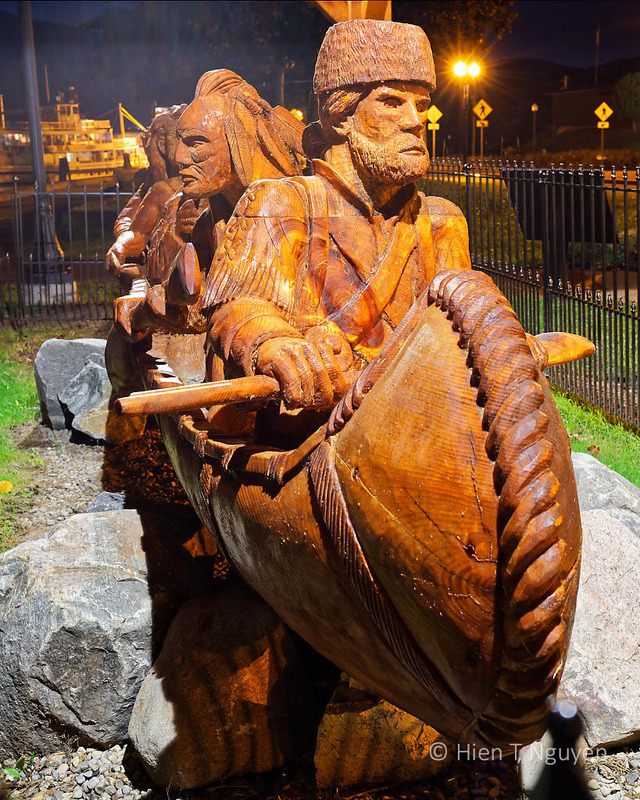 Robert Rogers and Native Americans on Lake George. 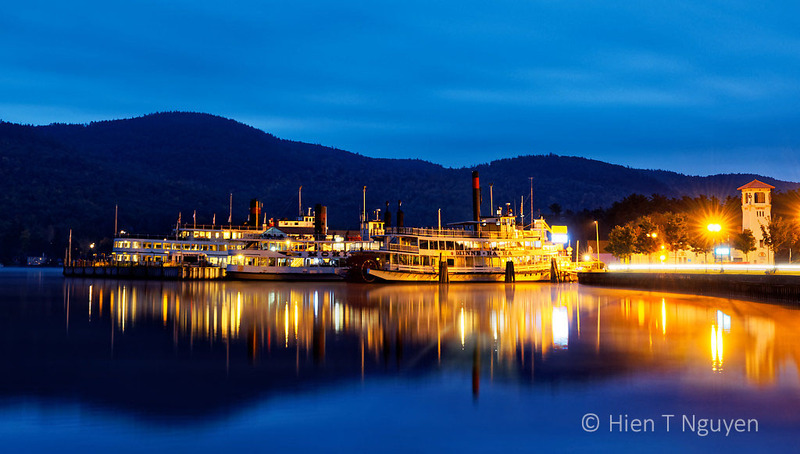 Those boats moored at night are postcard shots … glorious! Glad you enjoy the photos, Amy! Sometimes nature just doesn’t cooperate with our vision. Beautiful photos nonetheless. Wow – love those boats on the water! They look better when brightly lit like that. Wonderful photos! That stubborn sunrise is quietly beautiful. 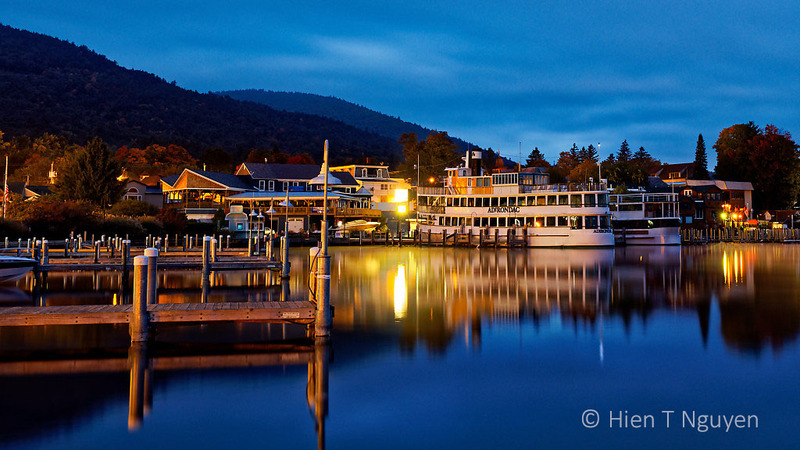 Lake George is relatively close, but never been there so thanks for the reminder and excellent photography Hein. All gorgeous captures. Love the boat reflections. While the sunrise may not have been what you were hoping for, I like your images for the mood that they convey. I loved the images of the boats in the early dawn light along with the artificial lighting with the hills in the background and showing hints of the colors of the leaves on the trees. The carving is wonderfully done and you photographed it very well also. Thank you very much, Jerry! I did not mention that I tried to drive around the lake to find a spot to stop and take photos, but Lake George is very much developed and signs everywhere warned about trespassing on private property. The only open place was right at town center where maybe a 1/5 of a mile of waterfront was public space, with parking meters of course.